Most of the following core features are available in both the basic and Pro accounts, unless otherwise noted. In fact, the GetResponse autoresponder has hundreds of newsletter templates that you can use to create a polished, professional image each time you send out an email and they have a wide varity of Newsletter Templates. All the templates are “point and click” easy to use. And if you don’t like anuy of their designs GetResponse offers you the freedom to design your own form from scratch using their HTML editor. No matter which option you choose, you’re in complete control. GetResponse is among the best in its class when it comes to sign-up form templates. 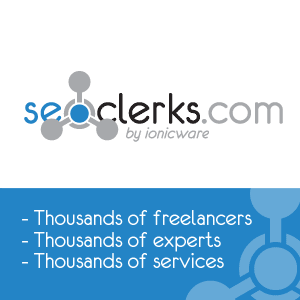 Most other email service providers give you perhaps a dozen or so templates from which to choose. However GetResponse is different because they offer over 500 sign-up form templates that are designed for many different kinds of niches. GetResponse also has a unique feature called “listbuilder apps,” which we didn’t find available through other email service providers. 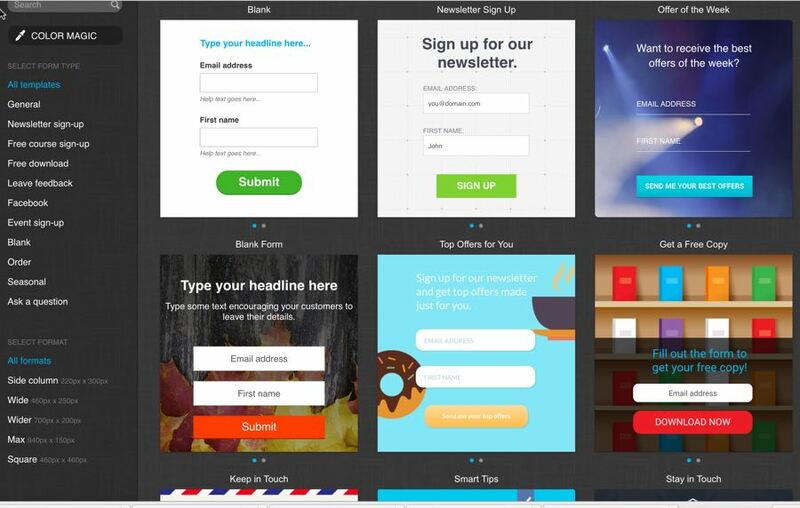 These apps let you create different types of sign-up forms, such as exit pop ups, scroll forms, shake boxes, and more. All of this means that you can get your form up and ready to go in just minutes, even if you don’t know anything about design or coding. Landing page? Yes. GetResponse gives you one landing page with a basic account, or unlimited pages with a pro account. 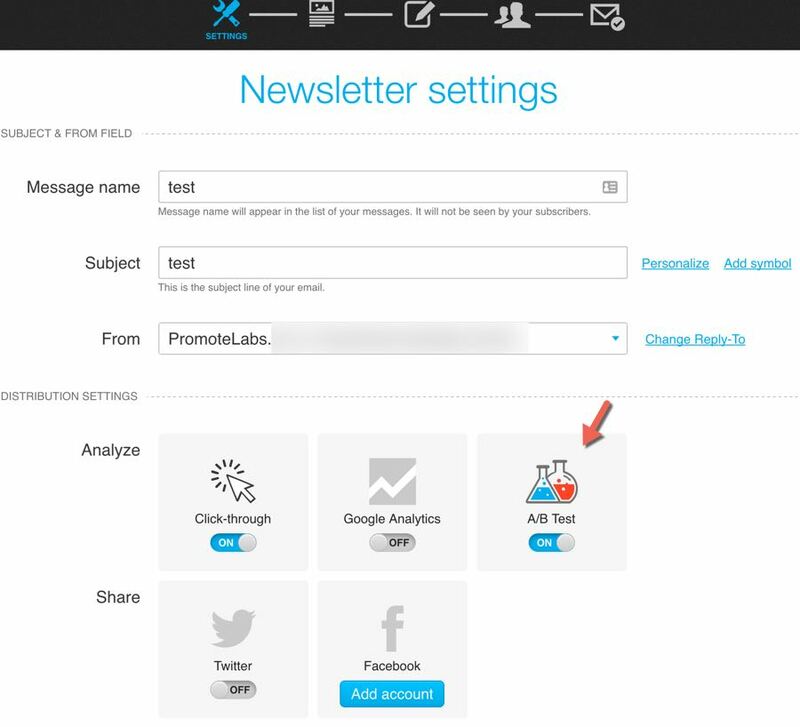 Most email service providers don’t even offer this feature, much less offering unlimited pages. Landing page templates? Yes. Another big yes! 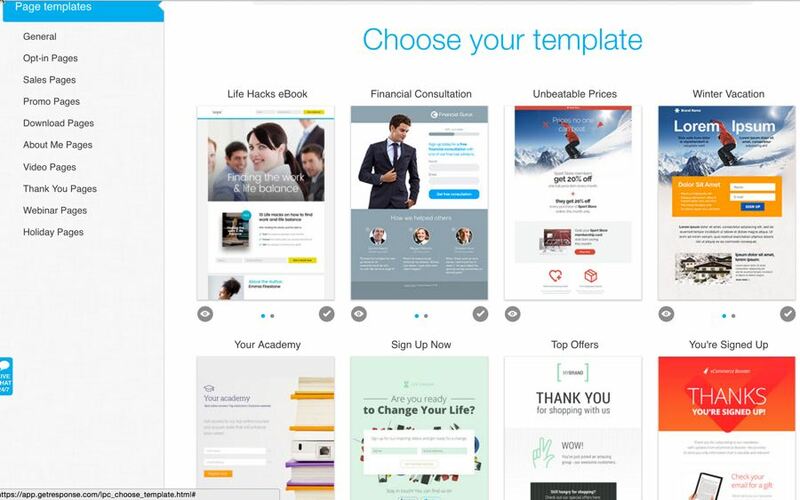 You’ll get access to hundreds of high-quality landing page templates. 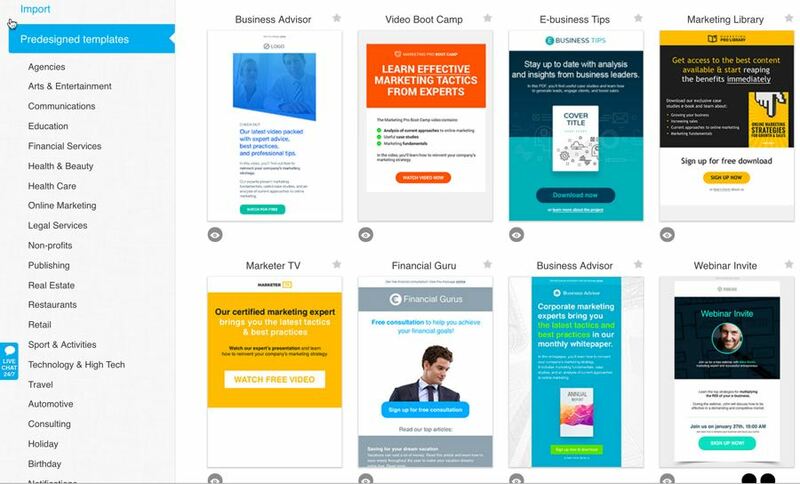 As you can see, even this small sample above offers landing pages for a variety of uses and niches. Once again, you don’t need to know anything about coding or design. If you can click a mouse, you can get a professional landing page courtesy of GetResponse. Confirmation email sent regardless of double opt-in or single opt-in? Yes. Blog broadcast (RSS to email): Yes. Import contacts without asking them to verify email again? Yes. You can transfer to your GetResponse list to another provider. Platform: GetResponse works well on a variety of platforms, including both web and mobile platforms (IOS, Android, iPad). According to some custom fields they completed when they joined your list. For example, perhaps you collect extra information during subscription sign-up, such as the person’s gender. You can then narrowly target your email, such as sending out an email to all females who live in the United States who have completed the initial autoresponder sequence. You can choose how long to run your test, you can tell GetResponse how important a particular factor or goal is to you, and then you can do A/B split testing, click-throughs, and even Google Analytics. You can then log into your dashboard to check metrics such as open rates and clicks. GetResponse lets you further automate things by letting you choose whether to send the highest-responding message out automatically to the rest of the list. 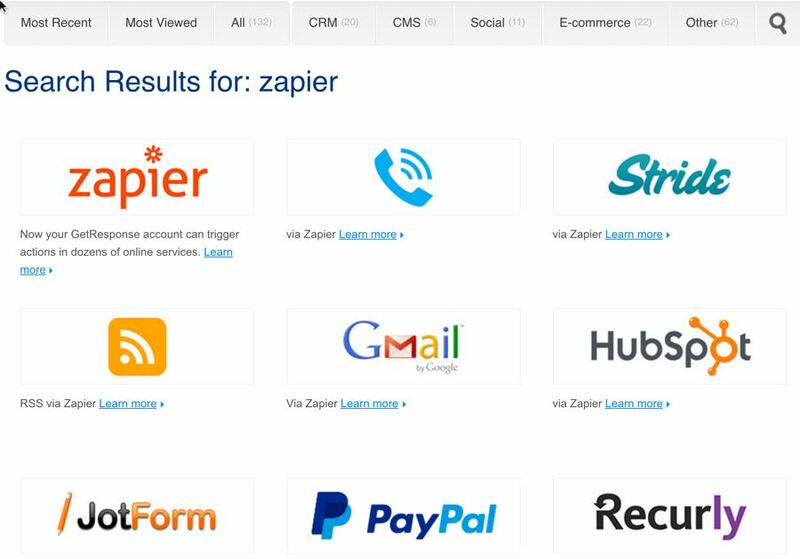 GetResponse integrates with over 100 apps, including the most popular applications such as Zapier, Shopify, PayPal, ClickBank, Amazon payments and many more. It’s fairly user-friendly and intuitive as to where you need to click in order to perform a certain task. It’s definitely newbie-friendly, as you don’t need any previous experience or tech background to work with the interface. If you run into any problems, GetResponse has extensive help documentation and videos to walk you through just about any task, plus you can also get in touch with a real person to help you out. GetResponse offers both live chatting and online support through a help desk. For fast help, use live chatting, as you’ll rarely wait more than a few minutes. If you use the Help Desk, you can generally expect a response within a couple hours during normal business hours. GetResponse deliverability is good, as they say a 99% deliverability rate. That is one of the highest rates in the industry. We’ve done our own testing, and these stats seem to be accurate. GetResponse has a built in survey option. You don’t need to find another app to survey your subscribers. You can use this survey to segment your list, plus you can invite respondents to join your list if they’re not already subscribers. Templates. 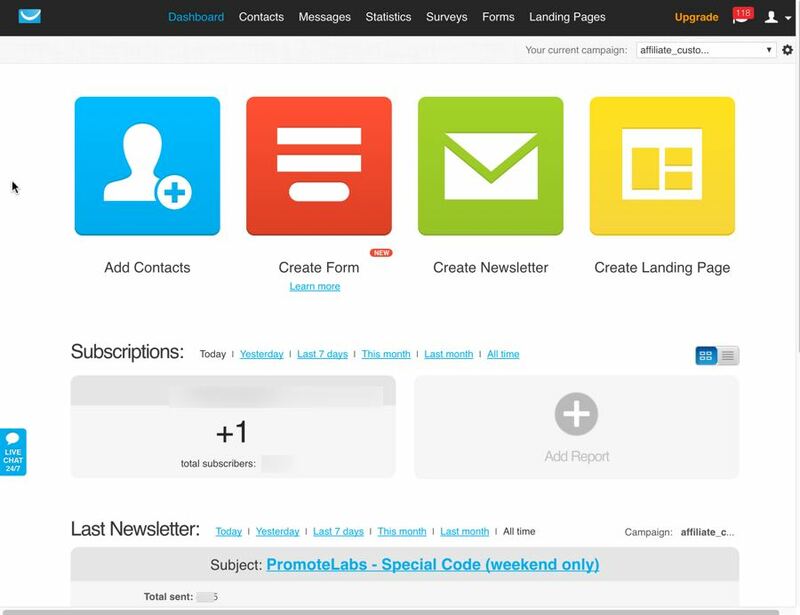 This includes lots of nice templates for newsletter, sign-up forms and landing pages. 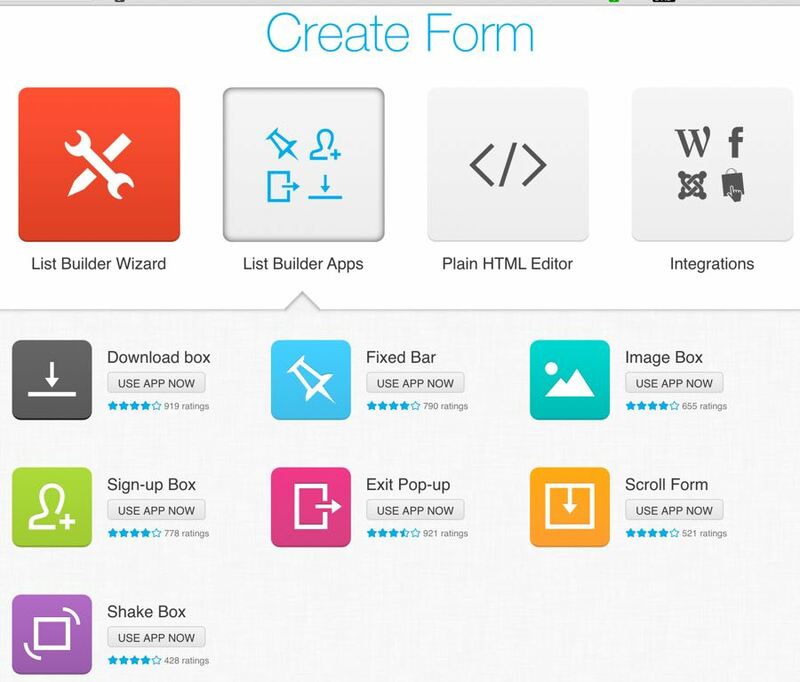 List-builder apps lets you choose from and create a variety of sign-up form types. Great reputation, especially in terms of deliverability. Affiliate marketing friendly. 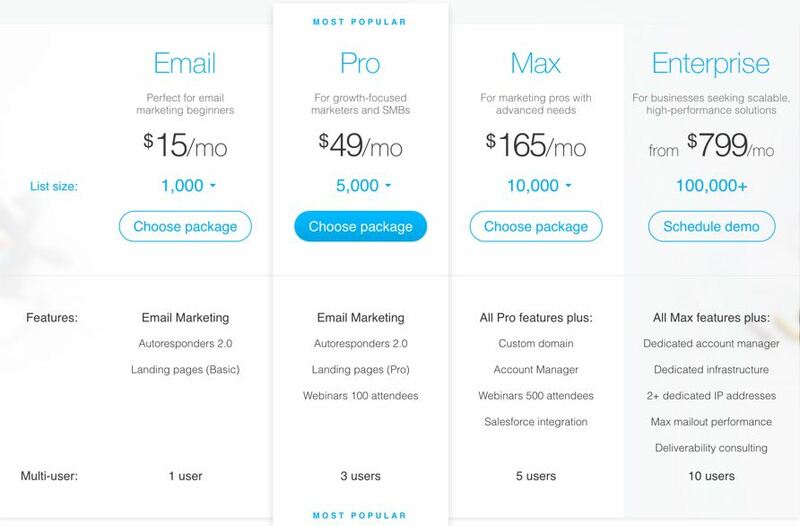 This is one of the very few email services that not only encourage affiliate marketers to sign up, but they also work with them in the greater online marketing community. Advanced automation features are lacking. Not very powerful. List segmentation function needs to be updated. All-in-all we like the autoresponder GetResponse because it’s very marketer friendly. Plus, you can use their APIs to get your subscribers automatically added to your list from places like JVZoo, Zaxaa, Lead Pages and so on. 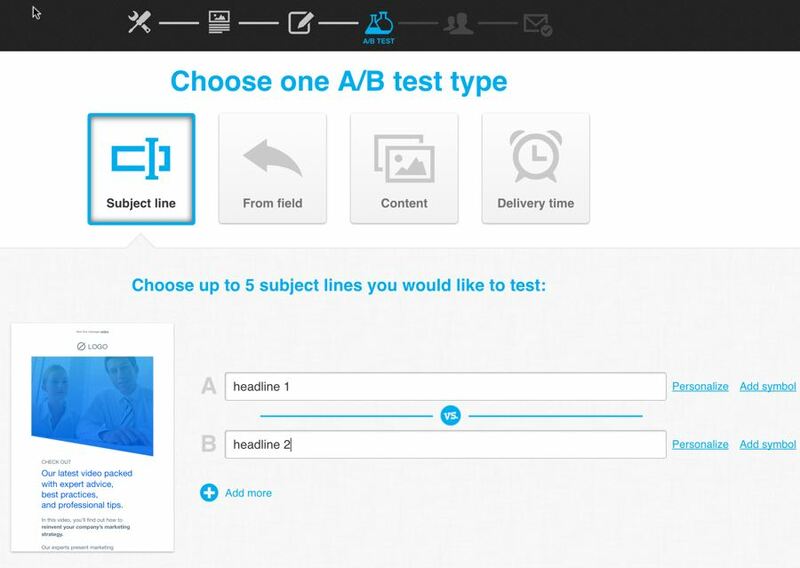 GetResponse is easy to use and offers a variety of advanced features that you can try for a full 30 days free. If you enjoyed this post “The Get Response Review” please feel free to share socially or leave a comment below. 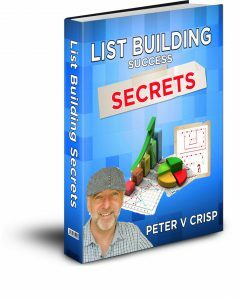 If you leave a comment, I will reward you with a free copy of my book; ‘List Building Success Secrets’. Hi Peter, although I’ve never used it, I’ve heard nothing but good things about Get Response – ‘Chimp and Aweber fan here. 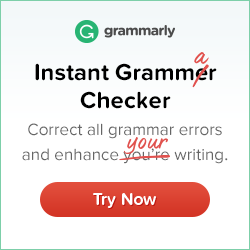 I appreciated reading the thorough review you’ve written, though, and I’m very tempted to give it a shot – especially given there’s a 30 day free trial. 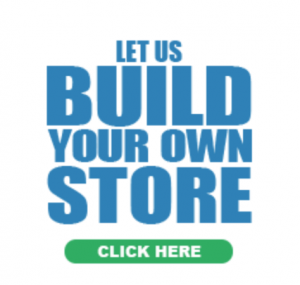 I look forward to reading more here at Online Affiliate Wealth. Hi Peter, I own a mini affiliate site and I was looking for auto email responders to increase my reach and conversion rate! From your review, it really looks very promising for how much it is offering compared to the price. I really liked your review too! I’ve got a question though, as I’m new to affiliate and email responder, I would like to know how I can create content for the email responder or do you simply include the different articles that you’ve written on your site to your email? Nice review on Getresponse. 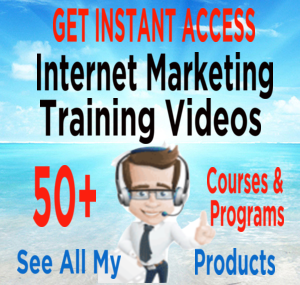 I have been using Getresponse for several years and they truly affiliate marketers friendly. I have an account with both Getresponse and aweber . However I prefer Getresponse to aweber. Just my personal preference. It is also very user friendly. If anyone is looking for a way to build their list and are on budget, I will recommend Getresponse. One thing I am realizing is that you can spend an awful lot of money on things before you even make a dime doing this affiliate marketing thing. I just started and it seems every blog I read or every other corner I turn there is something else you can buy to help you out. Quiet the rabbit hole. My goal is to get set up to just pay for my initial investment and hopefully add as I can along the way. Thanks for the great info here. I am just viewing this write-up and want to know if the IMSC Rapid Mailer is still as indicated in this write-up. That is, the one time payment and other features. You did a perfect job on all other articles I have seen. Please your response will help me decide on what to do next. What I like most in it is that it is a Word Press Plugin but the cons are frightening if one is not patient enough. Also in this write-up is how you explained the keyword research tools starting from Jaaxy to other Autoresponders to the video setting and how to make money on the internet. Peter you have done a great job and i will be revisiting your site to get more information and knowledge. This is a great review for Get Response. I am looking for an auto responder now for my website. I am currently not using anything. I have only looked into Mail Chimp. I am wondering which one you think is better and more user friendly? I have looked at your aweber review. I am so undecided now. I don’t want to pick one, get it set up, get going with it, only to determine that it is not the right autoresponder for me. Any thoughts? Very informative article! Do you think an email list is imperative for someone in affiliate marketing? My own behavior makes it difficult to see how an email list would be of real benefit. I can honestly say that I have never purchased a single thing from a link that I was sent in an email. Not even from a follow-up email for a website that made me register so I could look at the page. I just sort of use the emails as a reminder to unsubscribe. Truthfully, I find them to be a bit of a nuisance. Am I really so different from the norm?